Oh Leroy, where have you been all my life? Well for the last year or so, in little old Newport, but why did I wait so long to visit? As a quality food and coffee deprived mum of two, of late my outings have been limited to child friendly venues, where the kiddies are happy, but my tastebuds are left feeling rather neglected (hence my lack of blog posts lately!). But that’s about to stop thanks to this amazing cafe that offers good coffee, delicious food and has an onsite playground for the kiddies. You read right fellow mumma’s! Good food and coffee while the kiddies are entertained for hours in the cubby house. That’s my kinda bliss! This great sized cafe has three different dining areas. A large indoor dining room at the front, with an alfresco area to the right of it (for those wanting to eat outdoors away from the screaming children) and a good sized outdoor area with playground out the back. It was quite funny to stand in the entrance and watch the parents and kids walk straight through to the back despite the fact that it was all of 12 degrees and had been raining overnight. It’s a small price to pay to enjoy a good feed without the kidlets hanging off you. What sets this place aside from other kid friendly options is that the menu is awesome! 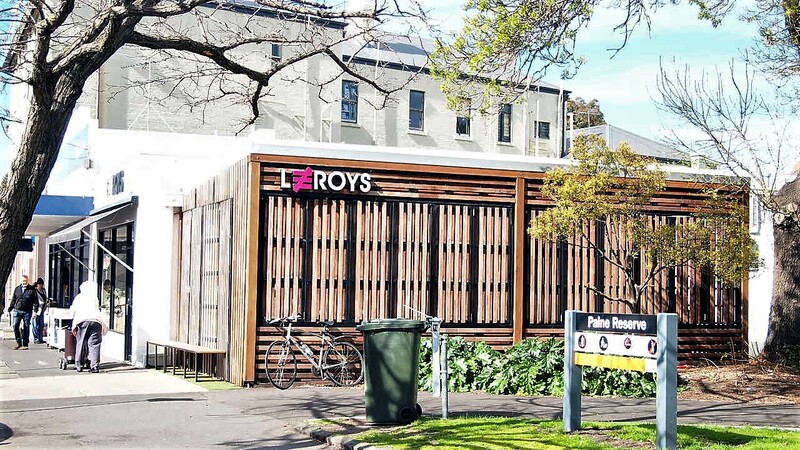 All the usual are there – Benedict, smashed Avo, granola, Shakshuka, super salad, burgers ect, but all are done really well with Leroys own twist. There was no way I was going past the OMG Pancake. With a name like that, it set the standard high and when it was delivered to our table my first response was literally ohmygod! 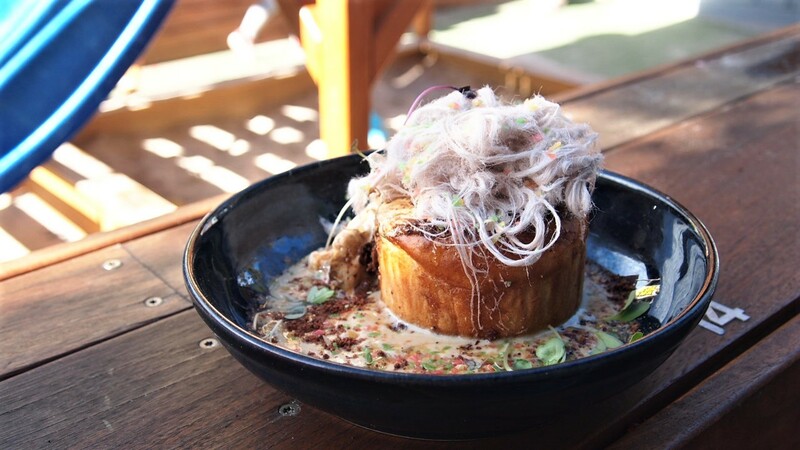 The huge fluffy pancake was topped with whipped ricotta coffee cream, salted coffee cacao, hazelnut crumb, a mound of chocolate fairy floss and a sprinkling of popping candy. Oh and a bit of burnt fig ice cream for good measure. Errr maaaa gawd! Now let me tell you, this pancake was off the charts! So damn good. Fluffy and insanely tasty, everyone needs to have a crack. So as you can gather, I sorta, just a little, liked this place. And you know, I might just start making this a weekly thing, even though it’s a good half hour from my house. But, that hour round trip is worth every minute. Apologies for the lack of photos, I was too busy taking in all the goodness!